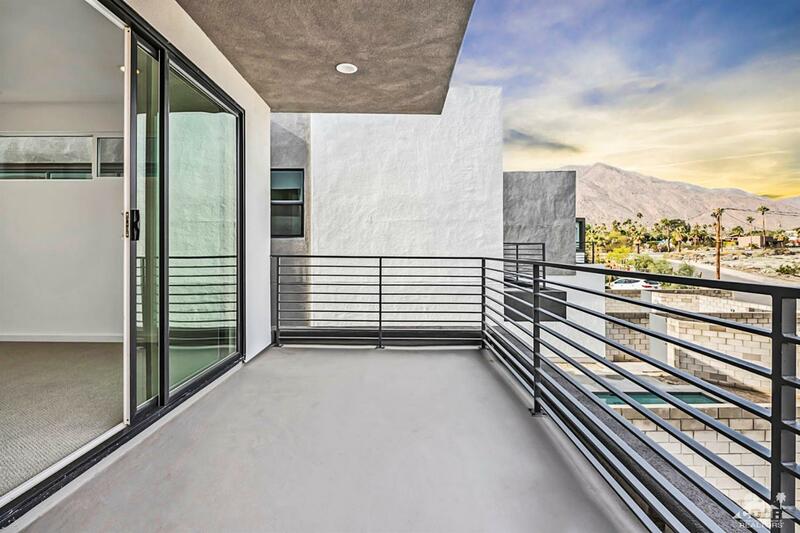 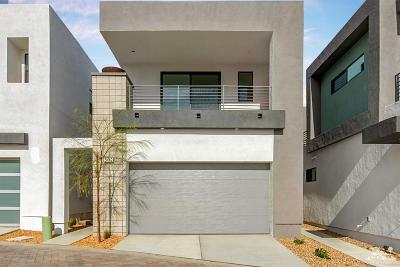 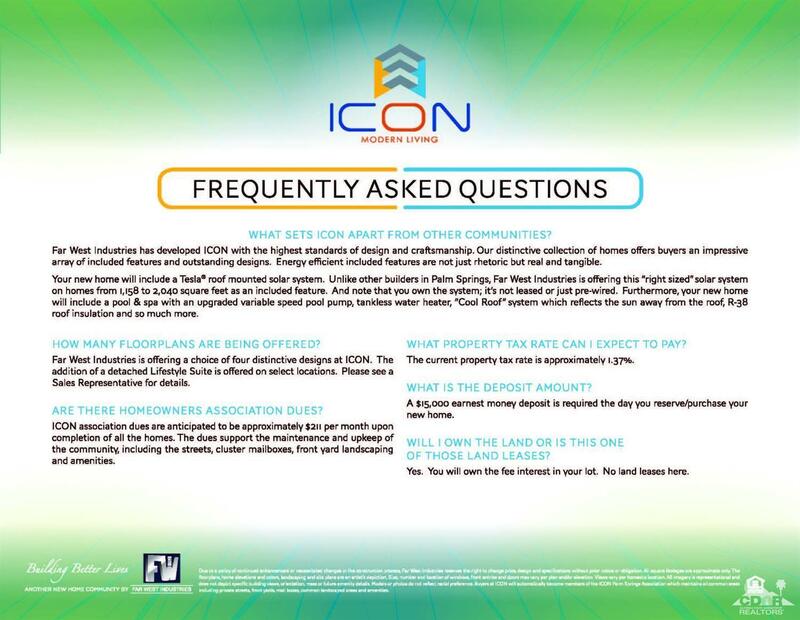 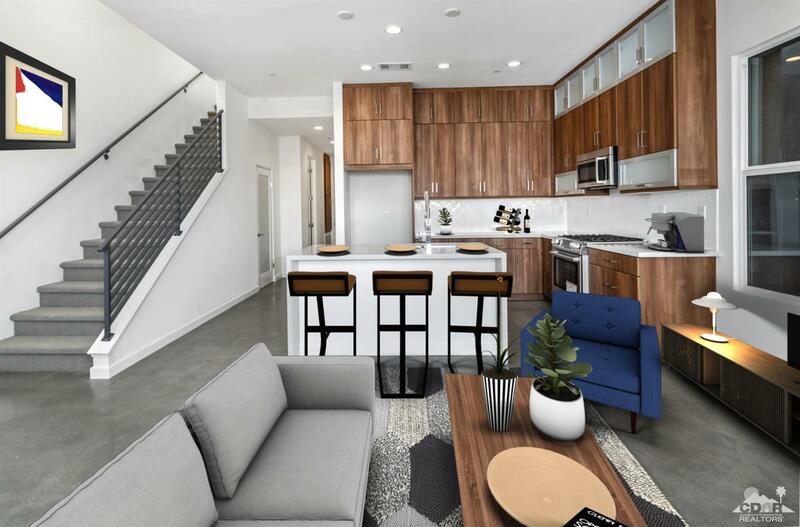 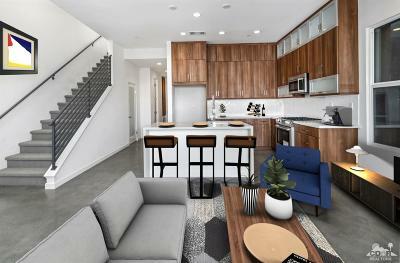 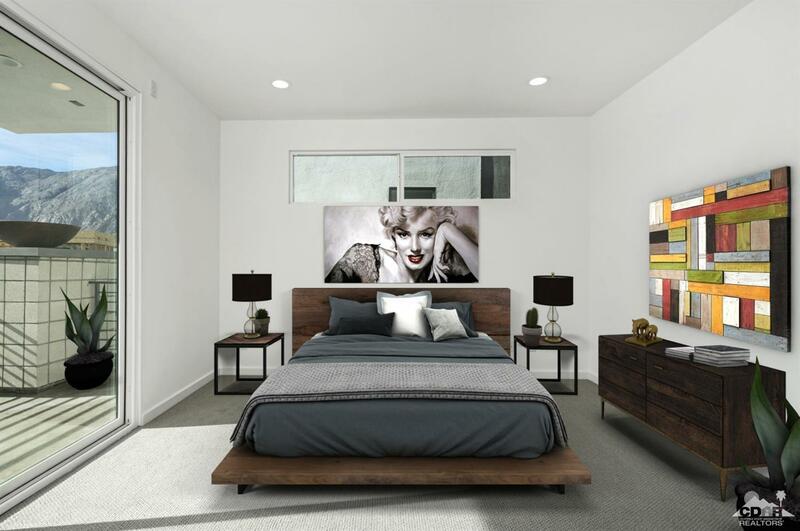 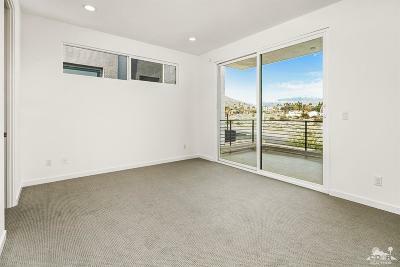 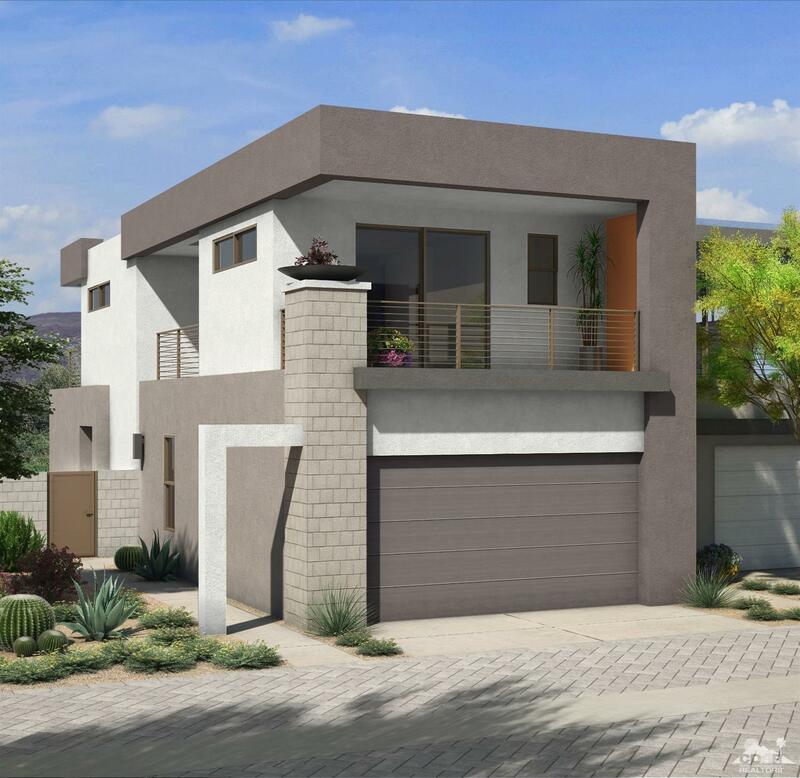 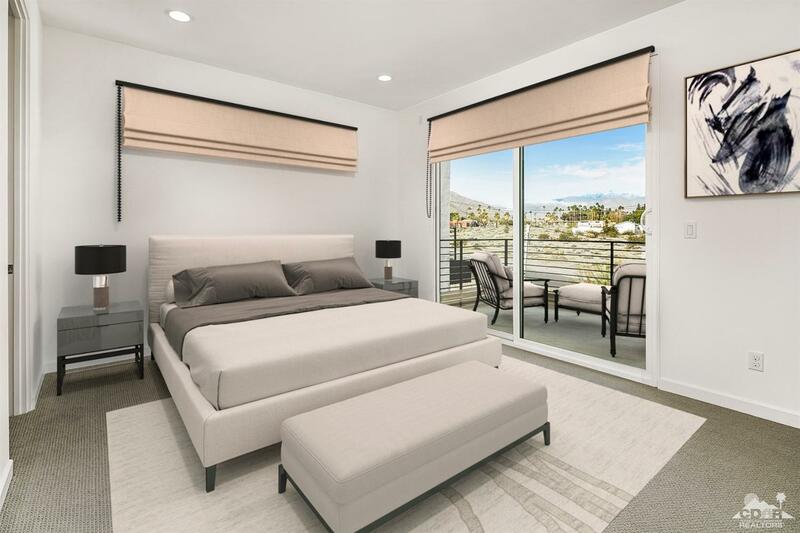 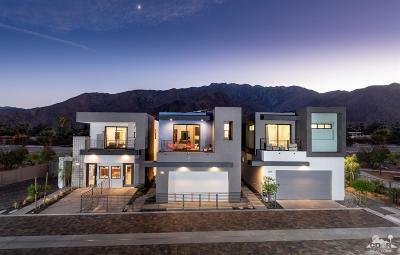 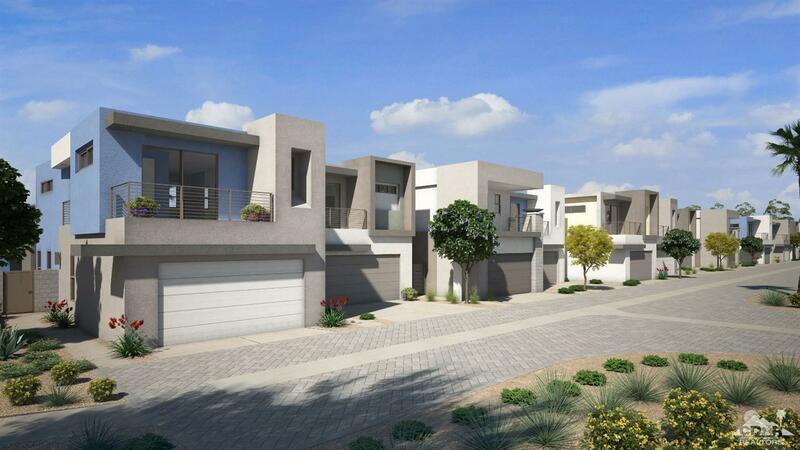 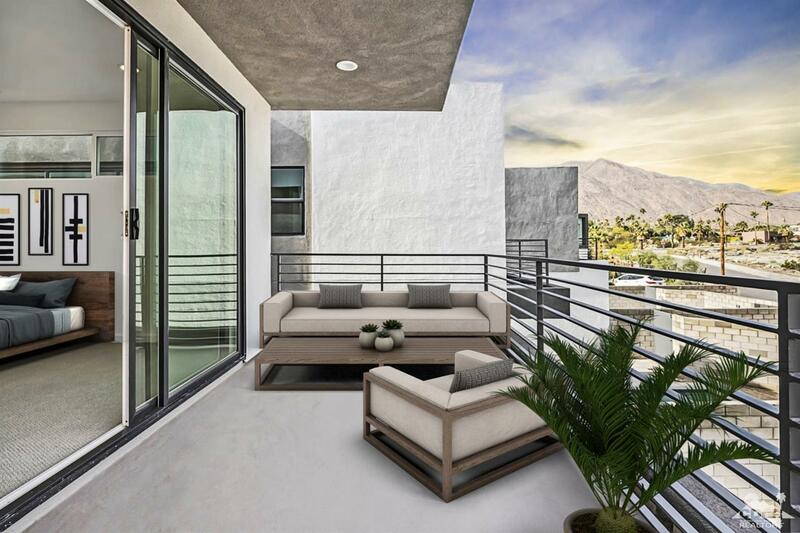 IMMEDIATE MOVE-IN at ICON, a new community combining Palm Springs style with today's home elements, including a private-gated community, with mountain views on Fee land. 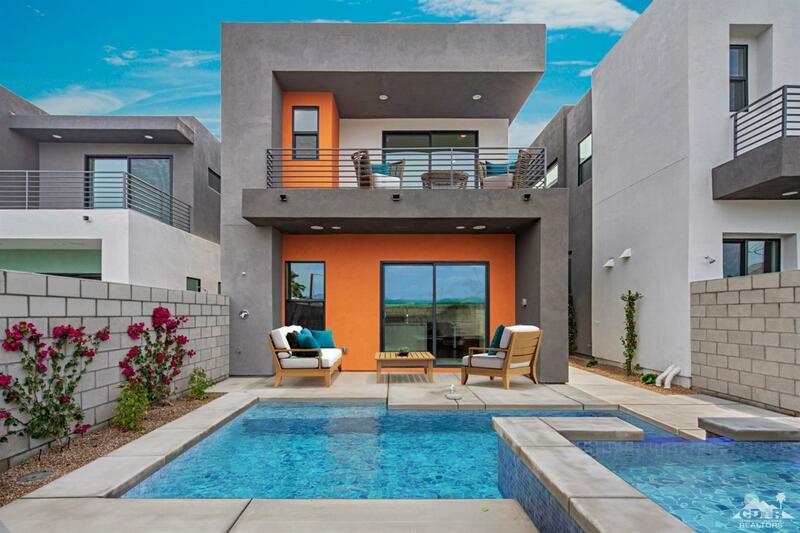 This Citron home is approx. 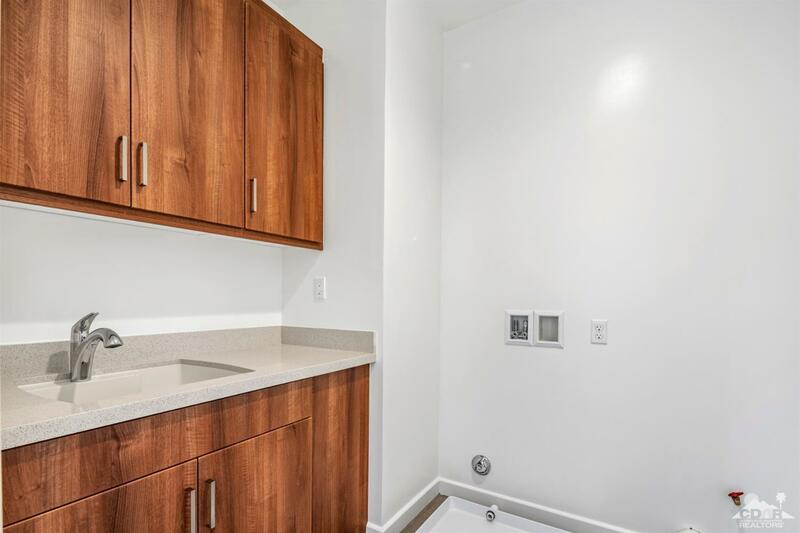 1558 sq.ft. 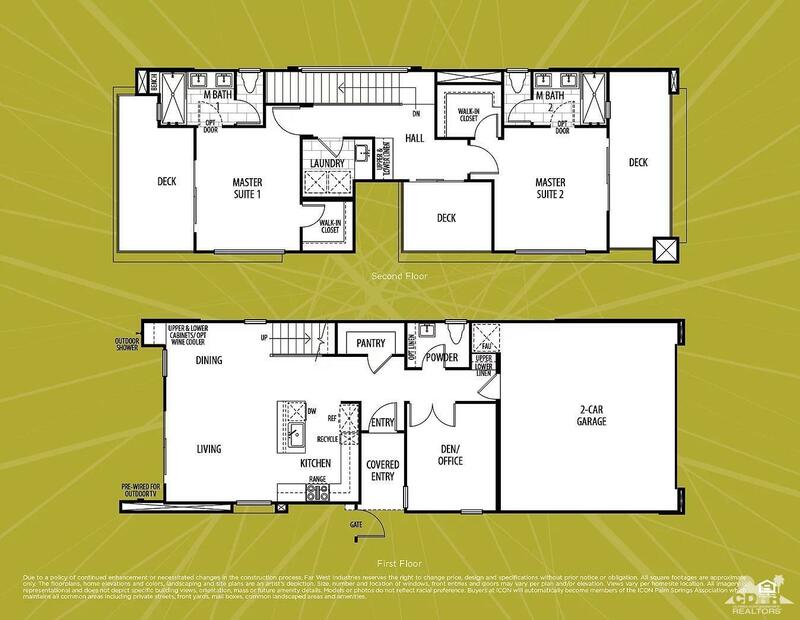 with two master suites each with a covered deck and a downstairs office/den. The exterior includes a third covered outdoor living space on the 2nd floor, Tesla 4.544kW Solar System, private pool /spa, and 2-car garage with WiFi opener. 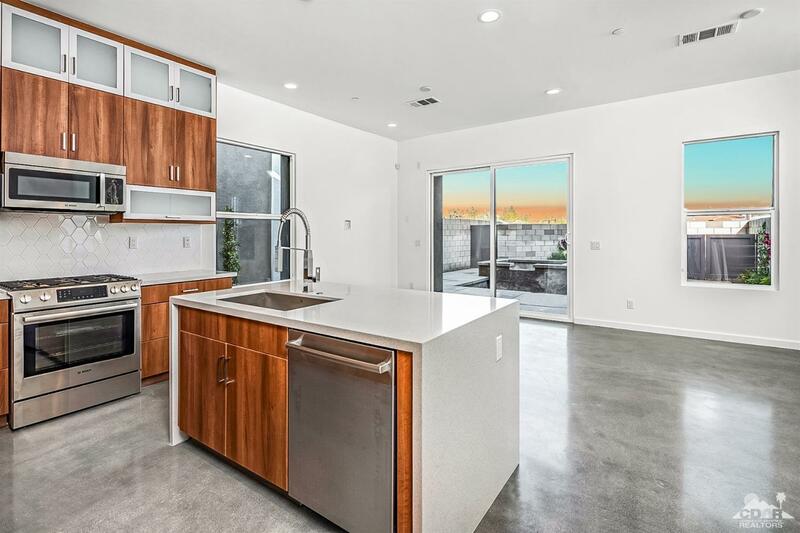 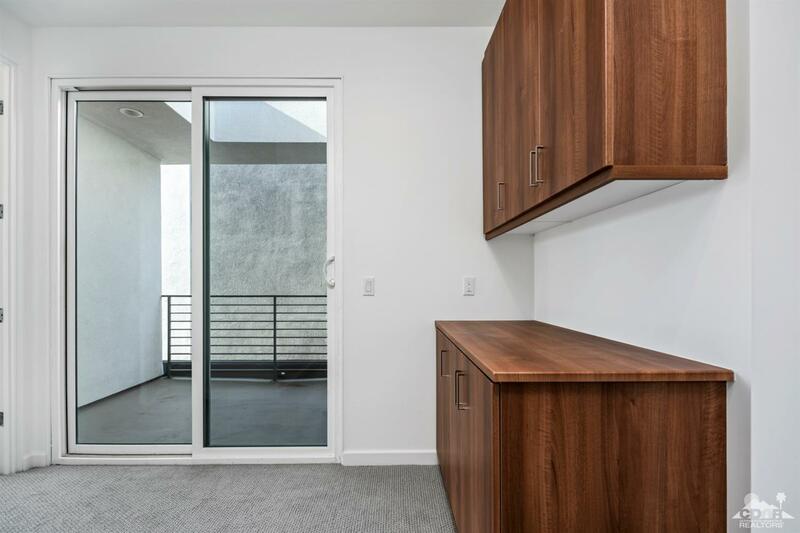 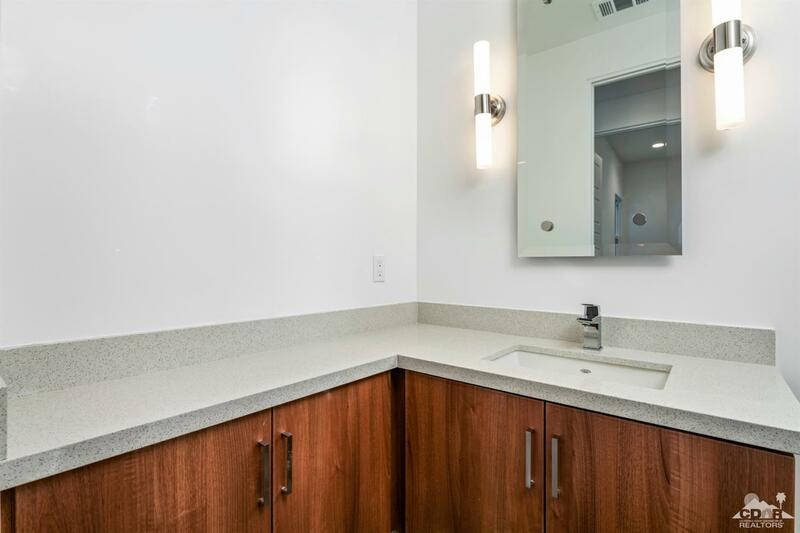 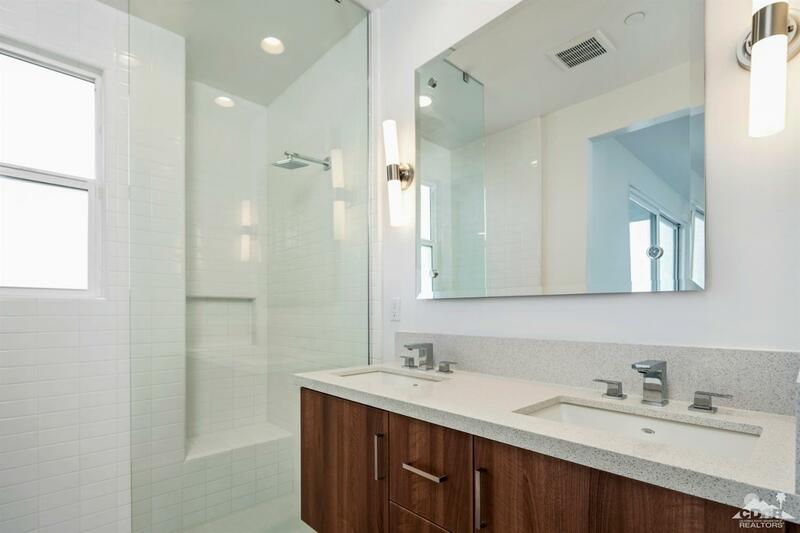 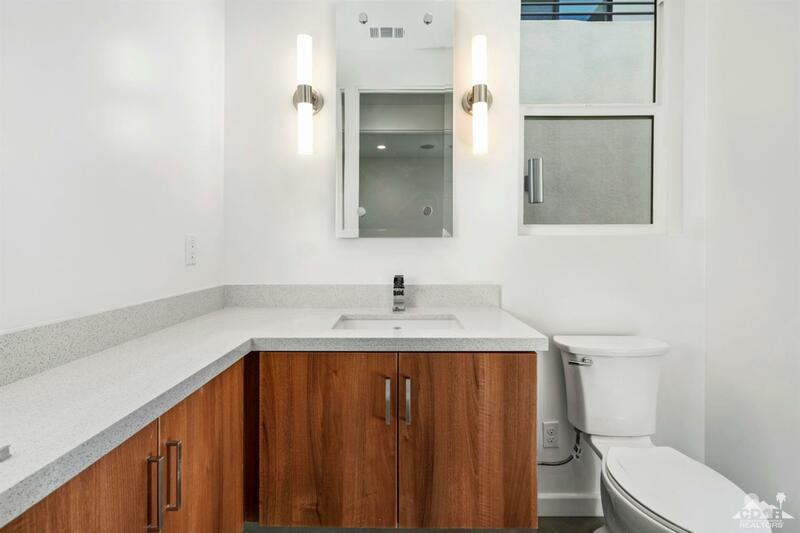 Interior is impressive with 8' doors, smooth drywall finish, quartz counter tops, and polished concrete floors on the 1st floor. 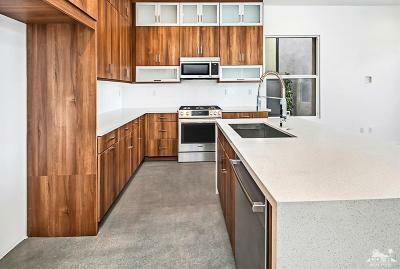 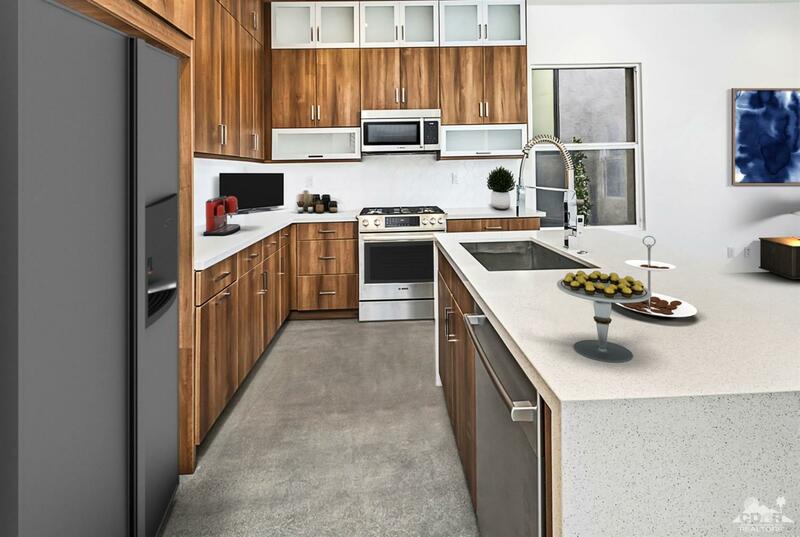 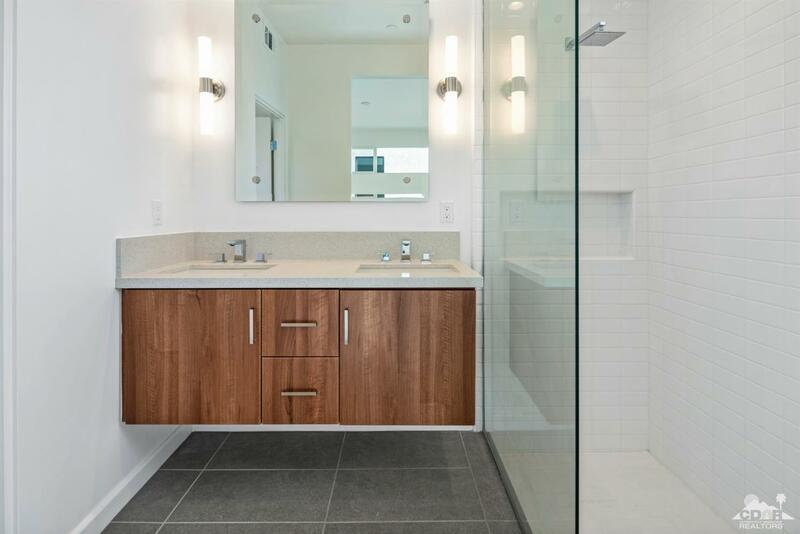 The sleek kitchen includes Bosch 800 Series appliances, upgraded cabinets with soft close doors/drawers and frosted glass inserts, single basin stainless steel sink with Grohe high arch faucet and kitchen island with bar seating. 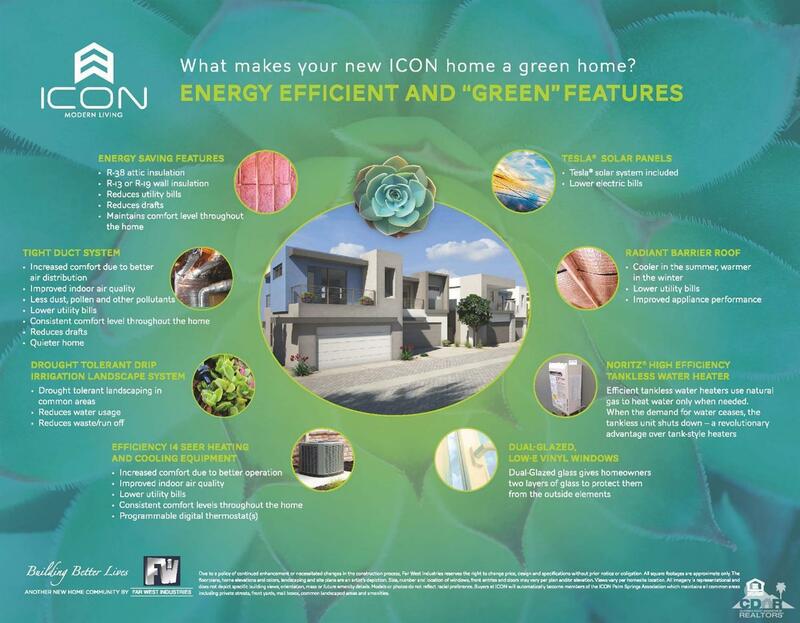 Energy efficiency with R-38 roof and R-21 wall insulation, and high efficiency 14 SEER rated A/C system. This home has additional custom upgrades, such as landscaping, audio system and cameras.